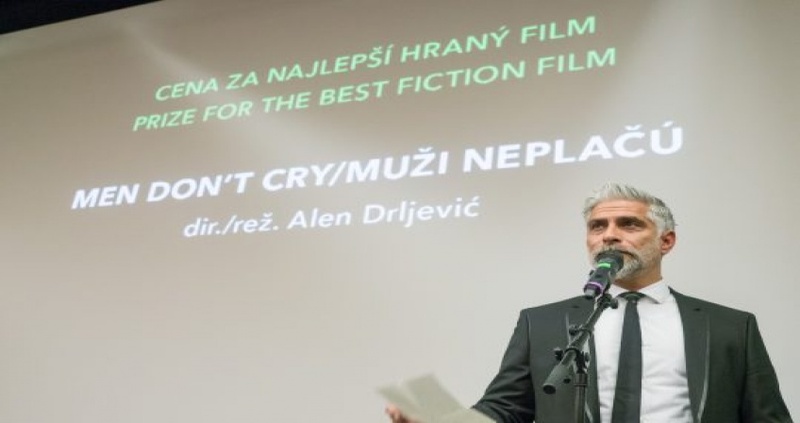 Alen Drljević’s Film MEN DON’T CRY won the Best Fiction Film Award at 19th Bratislava International Film Festival, which took place from 9th to 16th November and screened 8 feature films in Main Competition Program. This film was produced by Sarajevo production company Deblokada and it is Alen Drljević’s first feature film. The film premiered at this year’s Karlovy Vary International Film Festival and has already won 9 festival awards. It was awarded with Special Jury Award and Europa Cinema Label (52nd International Film Festival in Karlovy Vary), Young Audience Award (23rd Sarajevo Film Festival),Award for the Best Actor (31st Film Festival Montenegro in Herceg Novi), Best Minority Co-Production Film (20th Slovenian Film Festival in Portorož), Special Jury Award for directing (10th Leskovac International Festival of Film Directing), Award for the Best Director (International Film Festival KineNova in Skopje) and Golden Scales for the Best feature film (International Film Festival "Crime and Punishment" in Istanbul).